Printer drivers are the software that communicates with the printer, sending and receiving documents and data. You might think of the driver as a translator, translating the messages a computer sends into information that the printer understands, and vice versa. Without this translation, a computer and printer could not understand each other, and your toner cartridges would not be able to print anything. Printers generally use a very stripped-down operating system that does not use the same programming language as a computer. Since different operating systems such as Windows, Mac OS X, and Linux all use different programming languages, printer drivers are often specially designed for each software platform as well. This is very important, as a driver designed for Mac OS X would not work properly on Windows. 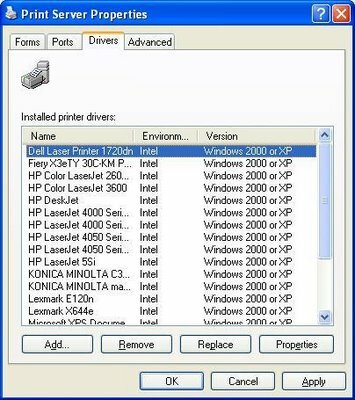 Printer drivers are often confused with the printer software, such as the HP Toolbox software that pops up when printing to HP inkjet printers. Although the two are closely related, there are a few differences. The software is designed to provide enhanced features and options, but it relies on the driver to communicate with the printer itself. In some cases, the software and driver are installed together, but you may also find that they can be installed separately. The operating system can often function well with only the driver installed, but without the driver, the software will not work properly. The easiest and most common place to find the proper driver for your printer is the CD that came with the device. In most cases you can simply insert the disc and install the driver by following the onscreen prompts. The downside of using the disc is that it may contain older, outdated drivers, while newer updates may have been released. For those with internet access, it is often better to find the most updated drivers from the manufacturer’s website. These can usually be found in the Support section under the Software or Downloads headings. Once you have found the proper driver for your device, download it, then double-click the downloaded file to start the installation process. Follow the onscreen prompts to complete the installation. For a more detailed steps, see Installing a Printer Driver. When a printer driver fails there is often a communication error with the device. You may also find that the computer no longer lists the printer as an option. Both of these issues are common signs of a driver problem. It is often a good idea to uninstall and reinstall the most updated version of the drivers to resolve the issue. Click Print Server Properties in the top bar. Click the Drivers tab and click to select the driver you wish to remove. Click Remove. You may be asked if you are sure. Click Yes. You can now insert the driver CD that came with the printer, or double-click your downloaded driver file to reinstall it. With any luck, this will resolve any driver issues you were experiencing. The driver is an important part of the printing process. Without it, a computer and printer could not communicate with each other. Keeping your driver updated and knowing how to reinstall it when necessary can be an important troubleshooting step to help resolve any communication errors. « Trouble Printing on Envelopes?